Working out on back-to-back days ain’t what it used to be. Back in the day (i.e. late 1980s) for college cross country, we’d run twice a day for an entire week to start the training season. Running doubles. Around 15 miles total per day, and then on the last day we’d get up early and be out on the road at 7:00 AM for the long slow distance (LSD) run–at least 15 miles in one shot. Nowadays, merely biking on consecutive days is a grind. I feel it in my knees, my ankles, my quads, my, um, saddle. It all aches. Especially when starting out that second day. 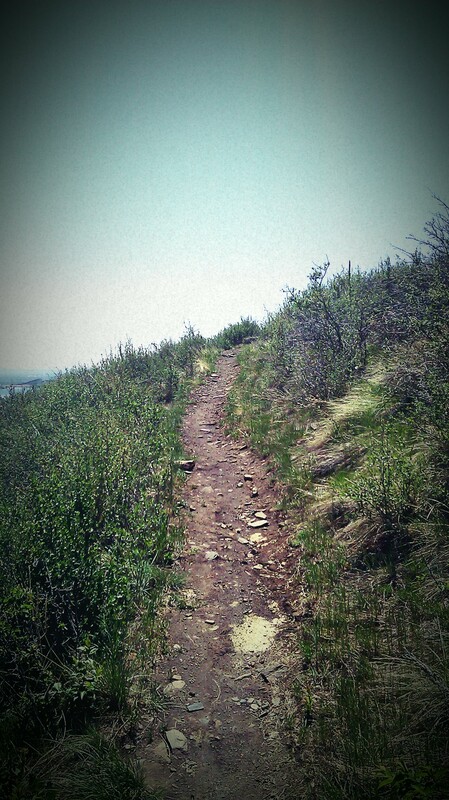 The very next day I met my buddy Ed for a ride on a local Denver fave, Apex Trail. Starting out was pure pain, and I got worried after a few switchbacks that I’d have to turn around and crawl back to my car in shame. My quads were cooked noodles, and completely invested with a dull ache. But you know what? You just keep pedaling and focusing on being relaxed and efficient, and gradually you warm up and feel better and generally on top of things, and you so keep making your way. I ended up having a great time. The sun cascaded toward the mountains off in the west, and we looped around through the woods, taking our time, learning “by where we have to go,” the air cooling, our bikes staying under us, rolling onward. Looking at the pics (see below), Theodore Roethke’s poem keeps singing in my brain. It’s a beautiful, peaceful villanelle, which means that it rhymes and repeats two refrain lines at the end of each stanza, which then pair up at the end of the poem. Making them a perfect symbol for two-legged propulsion. 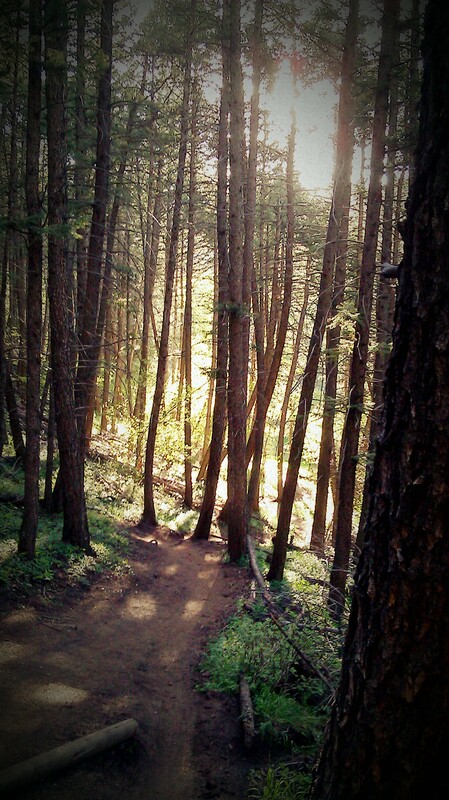 In the Enchanted Forest, at Apex Trail.